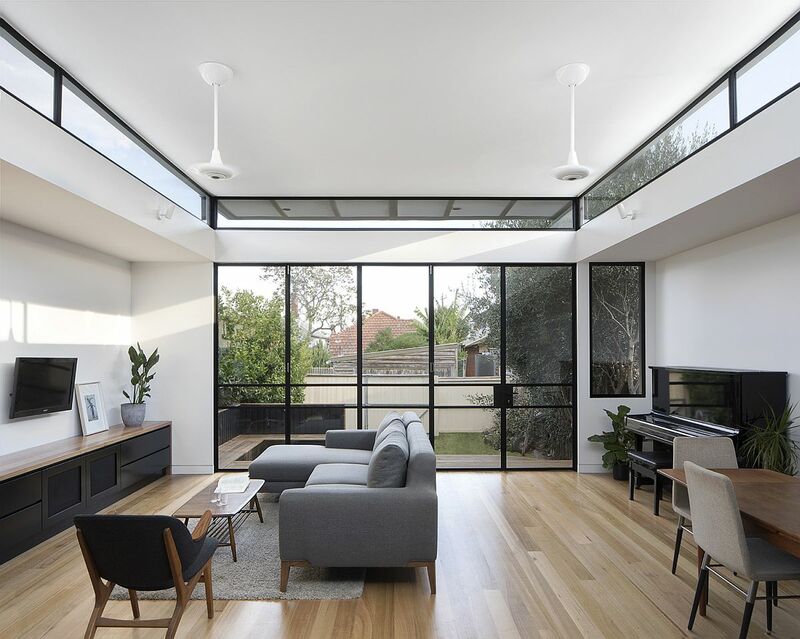 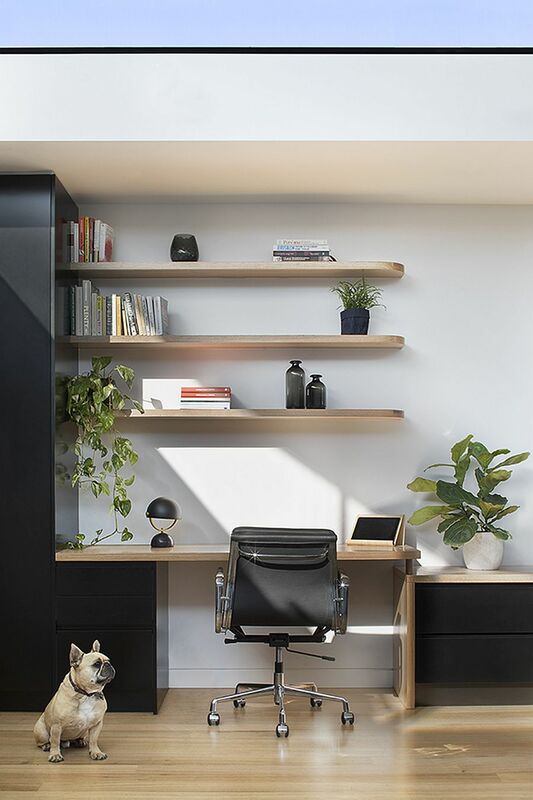 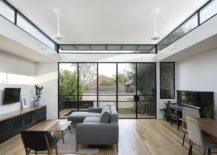 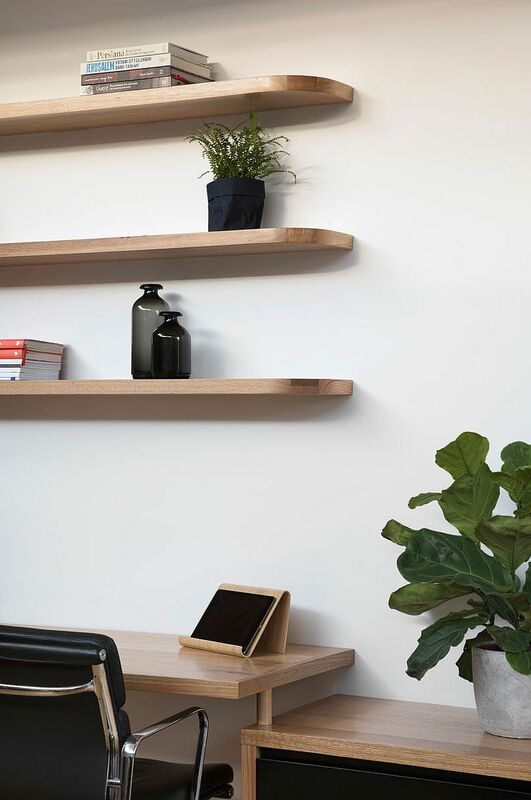 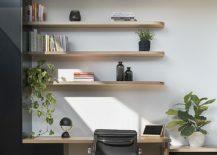 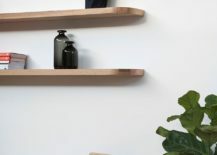 If you find us constantly harping on the importance of lighting and natural ventilation while planning for a home, then it is for good reason. 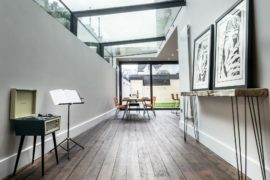 Lighting can make or break the appeal of an interior and can transform a dark, dingy and unlivable space into a modern, cheerful setting. 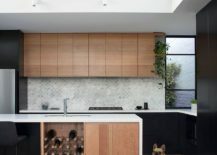 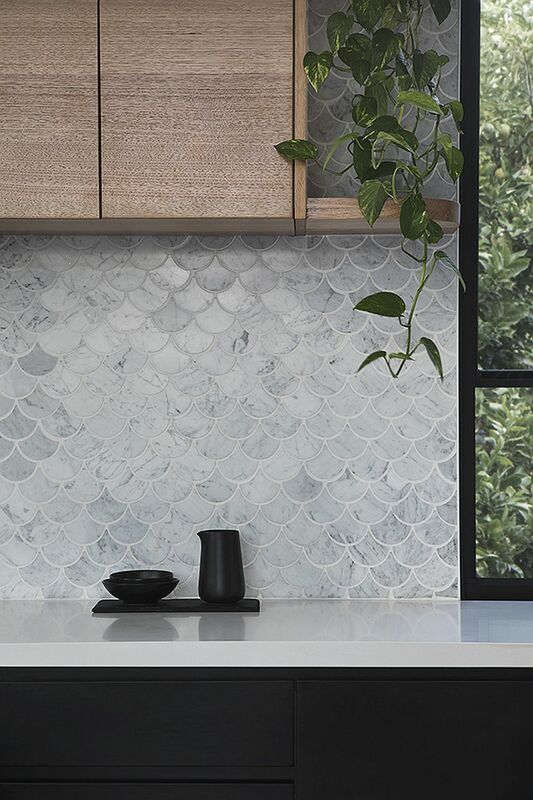 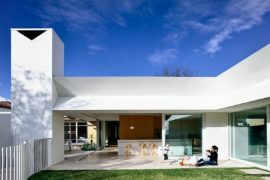 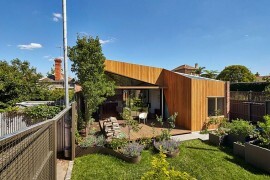 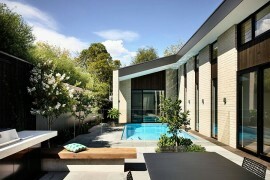 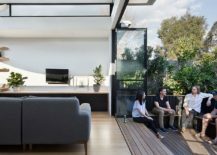 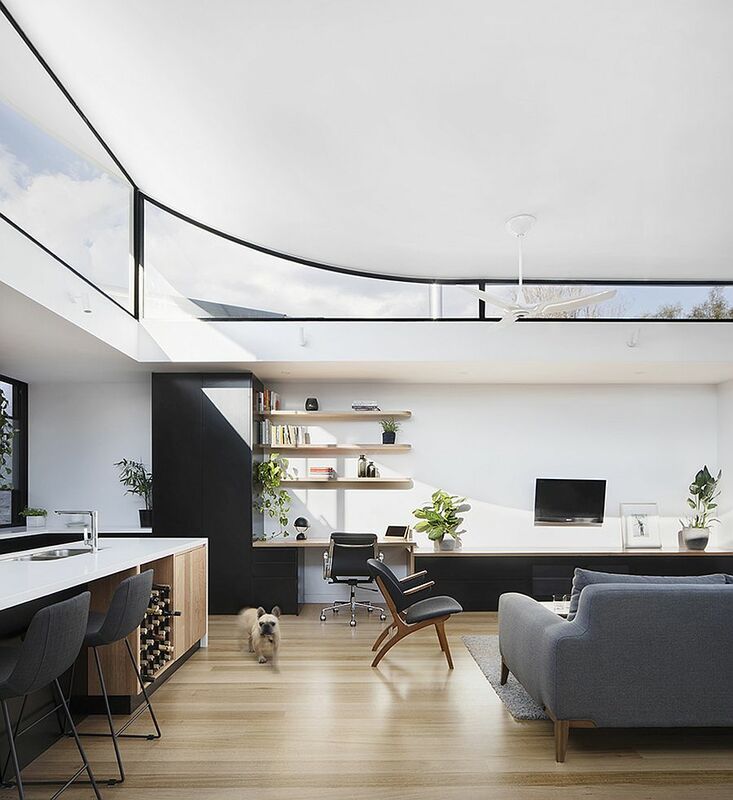 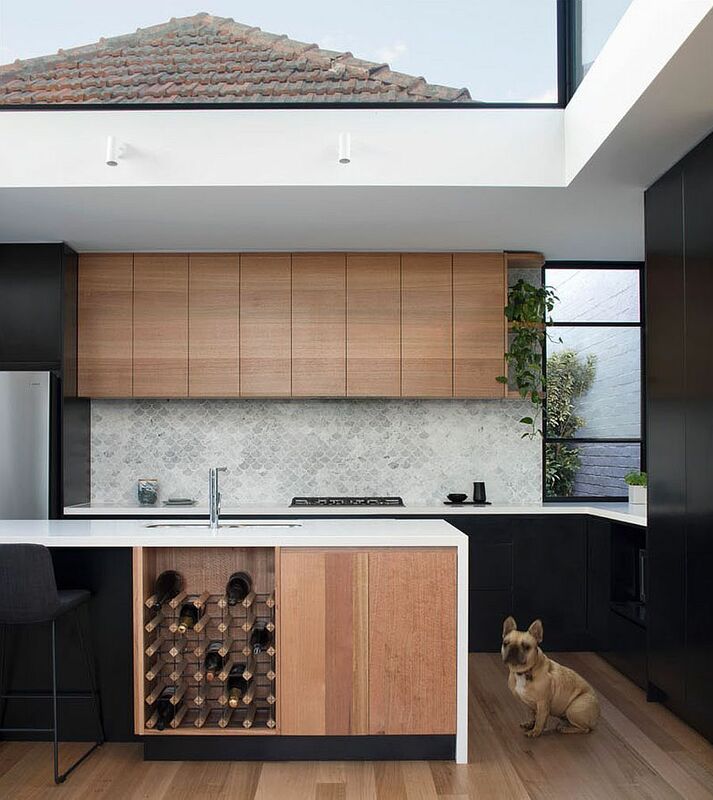 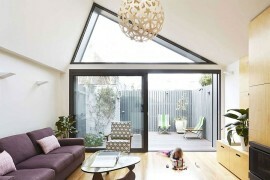 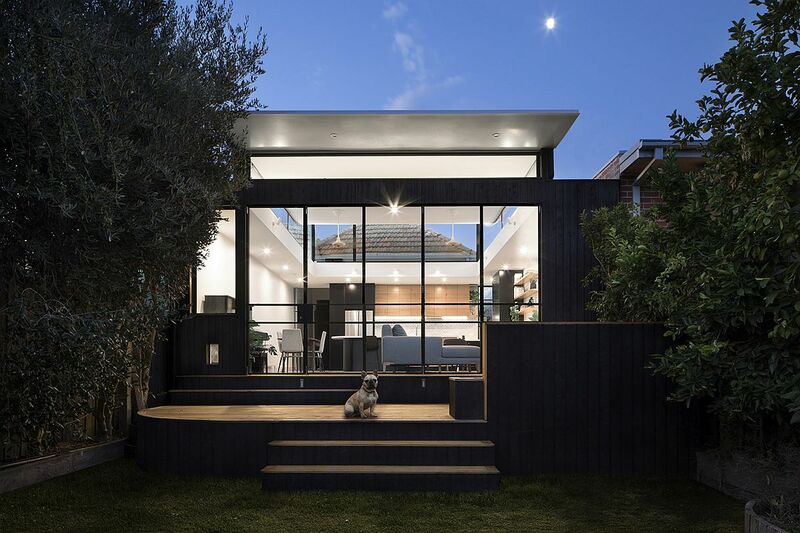 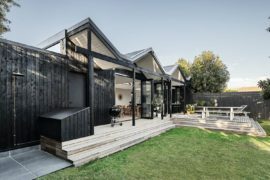 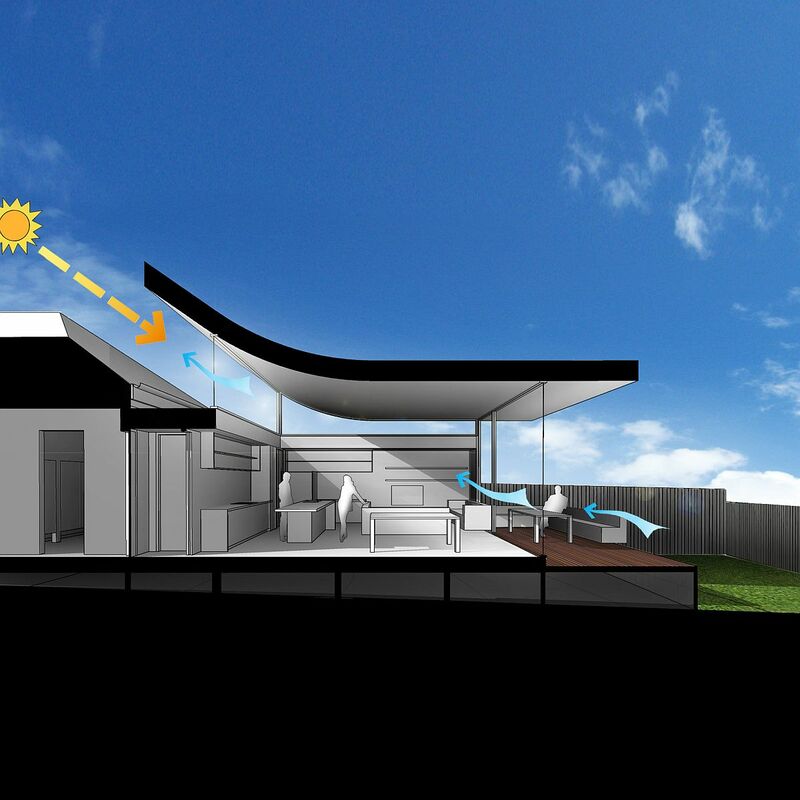 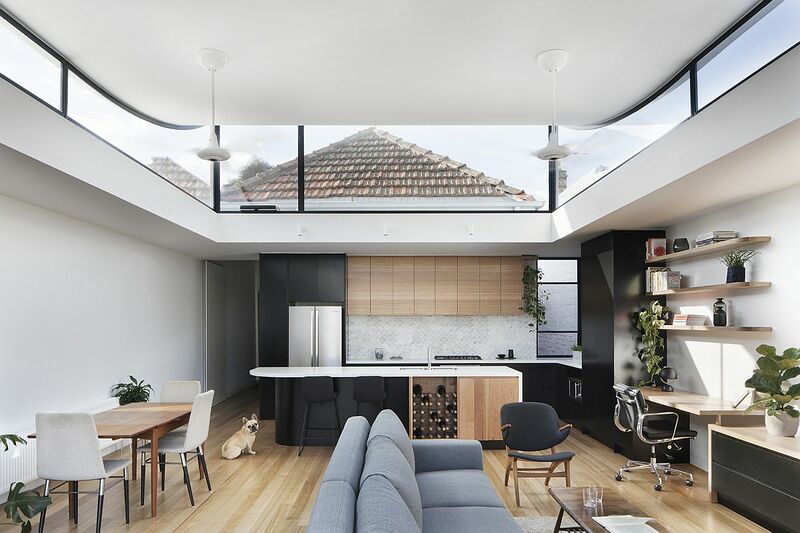 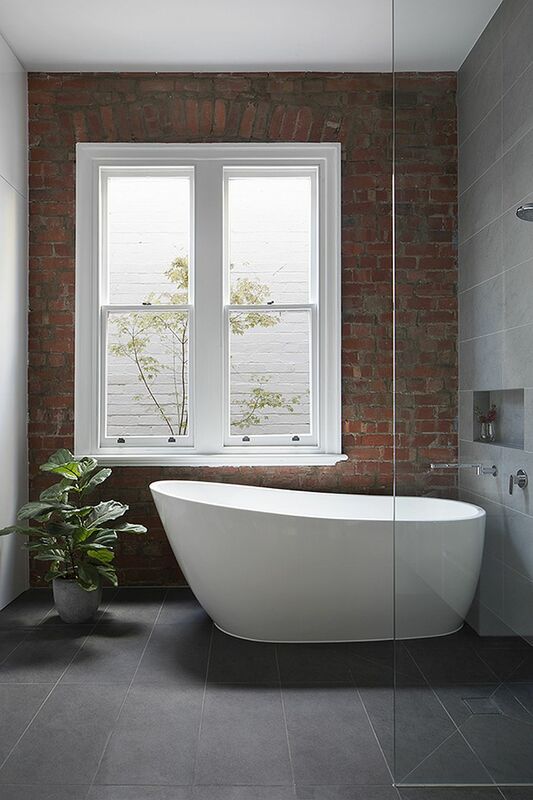 This effect is even more profound in case of natural light and the Curvy House in Northcote is a perfect example of how creative design can usher in sunlight into the most improbable places! 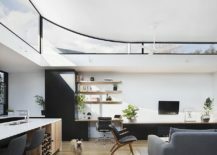 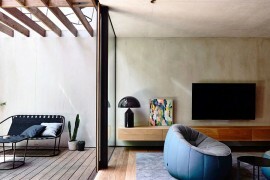 Designed by Ben Callery Architects, the rear extension of this narrow brick house in Melbourne relies on a roof that curves towards the sky to fill its living area with sunlight. 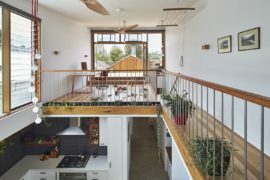 It is the ingenious, convex curve of the roof along with the clerestory windows that instantly grab your attention as you enter the new rear extension that opens up towards the garden and the extended wooden deck. 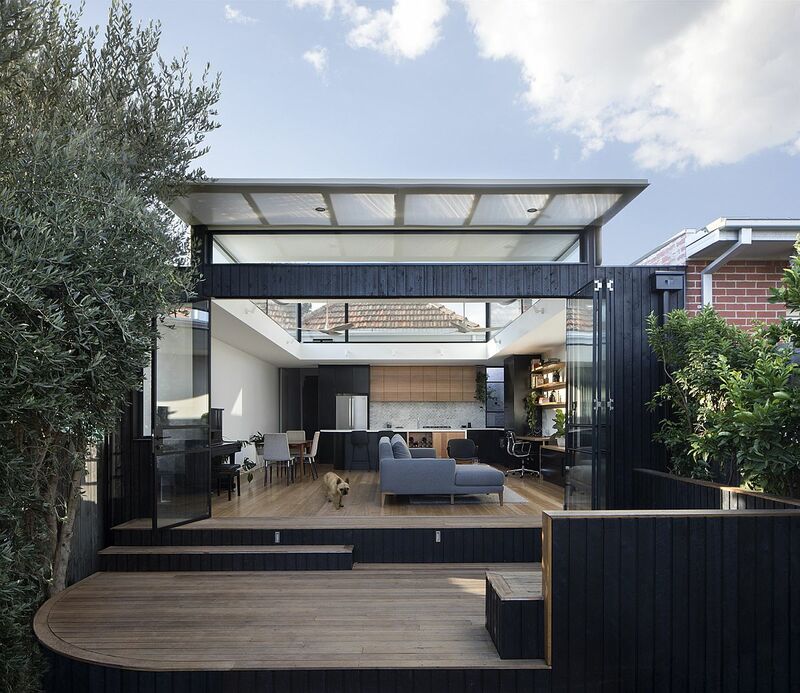 A series of folding glass doors with dark frame delineate the interior from the outdoor hangout even while allowing light to flow through unhindered. 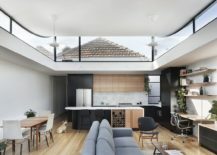 The innovative roof does the rest as it brings the northern sunlight while giving the open plan living, kitchen and dining a more spacious and breezy ambiance.